Facility maintenance types and how to find the compatible software for each one of them? The 7 essential features to the facility management app every construction manager needs to know. 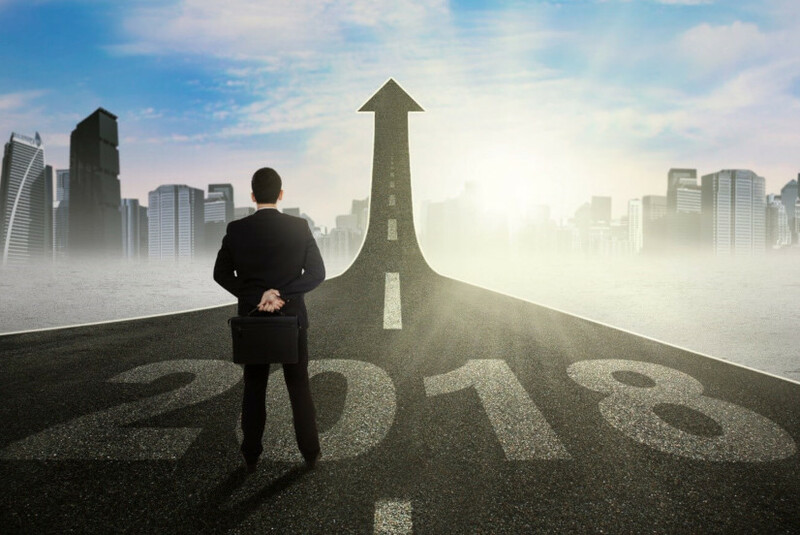 By finishing this article, you will be able to make your decision and don’t forget that you have a chance to try the best defect tracking software PlanRadar for 30 days free of charge now. Maintenance has always been thought to sustain good performance of the facility after the handover. But we see that it´s more relevant for maintenance to be a process which takes place parallel to the construction phase. In the past decades preventive maintenance was the main strategy used in construction projects, but now we have various types of facility maintenance strategies that can save the project from a lot of mess and delays. It’s better to mix between these different approaches depending on the size of the project to reach the best level of efficiency. 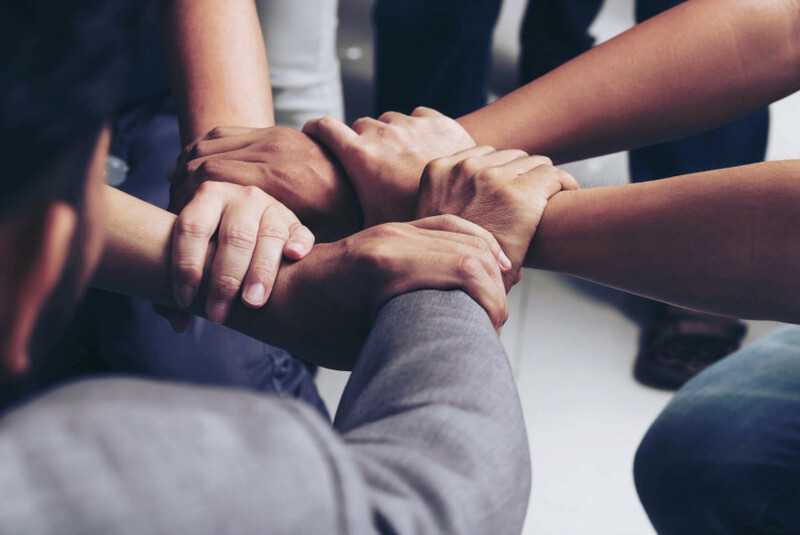 And the best thing you can do is to adopt a facility maintenance software that can handle more than one type, so you will keep your project away from the line of fire. This is the most common strategy project managers apply in their work. This type of maintenance is based on scheduling a periodic inspection on site accompanied by documenting any anticipated defects out there. Preventive maintenance is an easy to adopt strategy and doesn’t require much time or costs. All the appropriate software you can use in this kind of maintenance is a defect tracking software like PlanRadar. This software aids the construction manager to document every new kind of mistake and supports him with the completion statistics he needs. Predictive maintenance is generally based on predicting the failure before it takes place. This kind of maintenance can save more time than the preventive strategy, because it reduces the time spent on fixing a certain defect in the building or in any project equipment. Yet it’s not easy to use because you should not only depend on the supervisor’s notice to predict such deformations. If you want to adopt this type of maintenance, you have to install a computer maintenance management system that can track the facility progress and provide a number of anticipated predictions that may take place according to this readings and statistics. However, this type of systems requires high cost and long time to be working effectively. The break down maintenance main concept is to fix a specific defect by repairing it just after it breaks down. This type of maintenance is mostly used in low-cost fixation of the facility that it’s better to wait till it reaches its expire date than to spend a lot on servicing. Although this type is low in cost, it cannot be implemented in most of the construction tasks as they are all complicated and expensive. 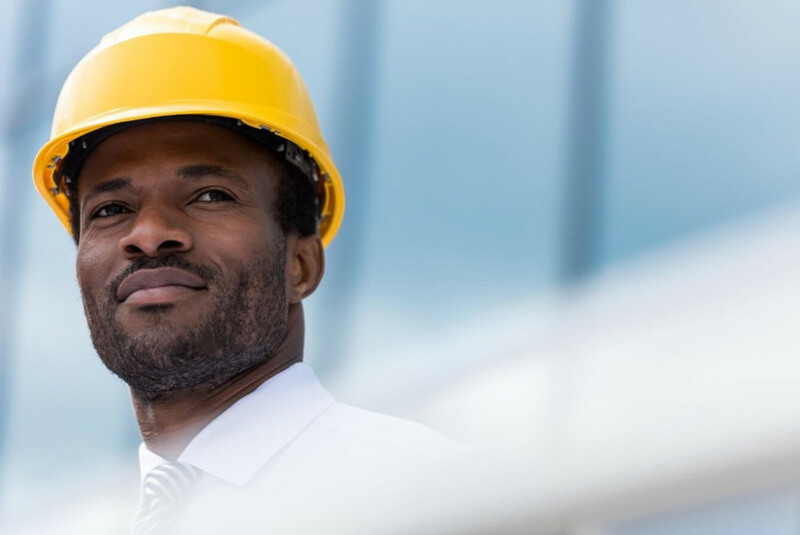 At the end we can conclude that the best type of maintenance in the construction industry is the “preventive” one, it is average in cost and fast to be implemented and it mixes between the human and automated work. To adopt this type, you need a good supervisor and a tracking software like PlanRadar to document and save every new working deficiency on it. Don’t miss your chance for a 30 days free trial and try the software now. One of the project manager tasks is to track the facility management process of the building periodically. The market is full of choices and that makes it hard to pick the appropriate application. To make it easier you can check the next simple list of the key features that you need to know before choosing your software. Track working orders: It looks as if it is a simple feature, but it is one of the significant ones that can truly impact your work. You can inspect a specific defect and give an order to the responsible person to fix it. But how would you know that it is done? A “tracking orders” feature will give you a quick overview of your orders’ completion status. Scheduling and filtration of the work requests: The software should give your team a chance to send you a specific working request whenever it is needed. This request may provide enough information about the location and the type of service. But on the other hand, this can cause an extensive line of requests in your inbox. So as an additional feature you need your software to prioritize and filter these requests to make your task easier. Notification: An acceptable application should have an automated notification system. This is not only important when you receive a working request, but also when some working orders are accomplished. This type of system is a time saving tool in the supply chain management. Cloud-based: Working in the construction industry is nowadays not limited on working in offices and from your desktop devices. A project manager can work through his mobile or tablet to track his tasks in a better way. This shows that you obviously will need access to your data from any device. A web-based software will set you free from your desk and allow you to work from any spot you want. Working offline: Finally, the working offline feature gives you the chance to document and get access to any information you need immediately, even if you temporarily don’t have an internet connection. After finishing this list, you can now make your mind about which software you really need. 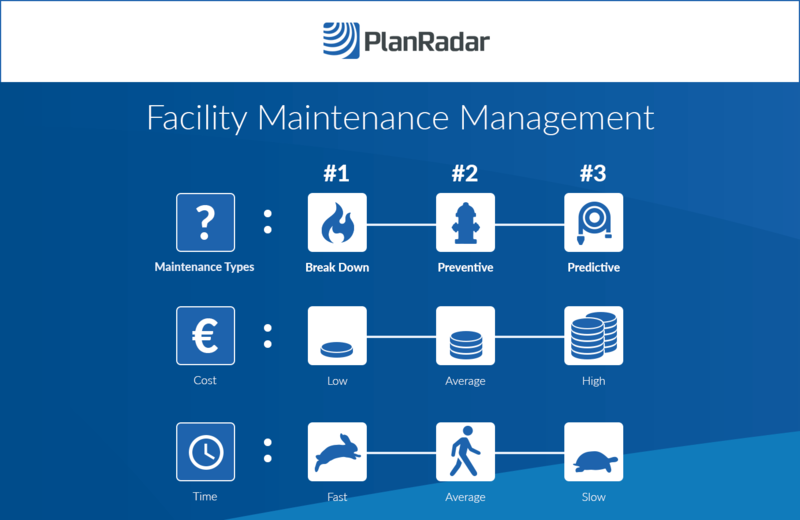 PlanRadar software combines all of the features in this list and that´s why it tops the list of the construction maintenance software solutions on the market. Computer aided facility management “CAFM” software gives the project manager all the tools he needs to track, manage, plan and report all the facility operations. This administrative system contains the project information of the staff, equipment, supplies and vendors. It acts as a centrifugal point between all of them. Next are the main benefits you gain from working with CAFM systems and what kind of obstacles you might face according to the whole building design guide. CAFM will aid in determining space requirements, equipment locations, construction costs, environmental constraints, encroachments and other critical planning functions. CAFM can define and standardize space attributes and data elements as well as the physical asset inventories of the organization including analysis of space dimensions and utilization, hazardous material locations, evacuation routes, fire equipment locations and building attributes. 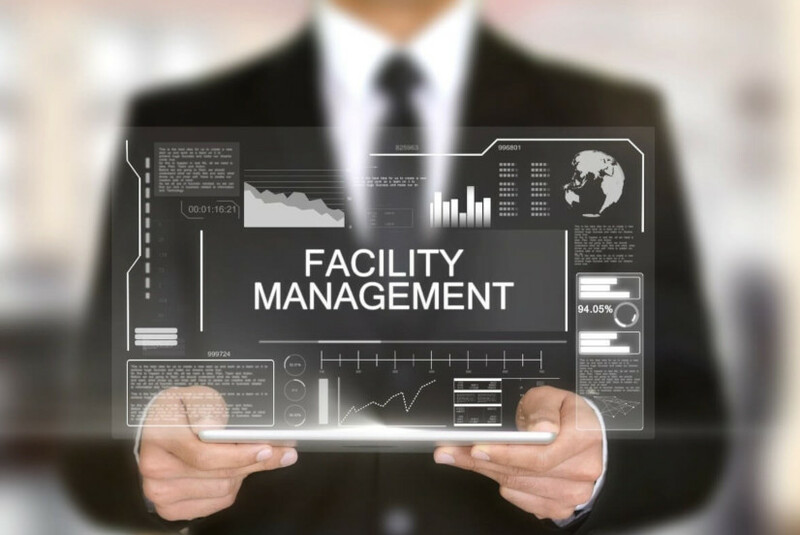 It helps the facility manager ensure the organization’s assets are fully utilized at the lowest possible cost while providing benefit to every phase of a building’s lifecycle. It works on supporting operational and strategic facility management and all of the activities associated with administrative, technical and infrastructural tasks. You can now easily pick a facility management app that saves your money and time. Put in your considerations that PlanRadar can save you up to 40% of your costs and 7 working hours per week. if you have any further information or inquiries about pricing and offers don’t hesitate to contact our customer care center immediately.